Under the Red Bonny label there are a couple of Guyana blended rums available. 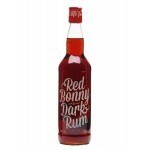 The Red Bonny Dark rum is a blend of rums from Guyana, at least 3 years old. The rum is named aft..